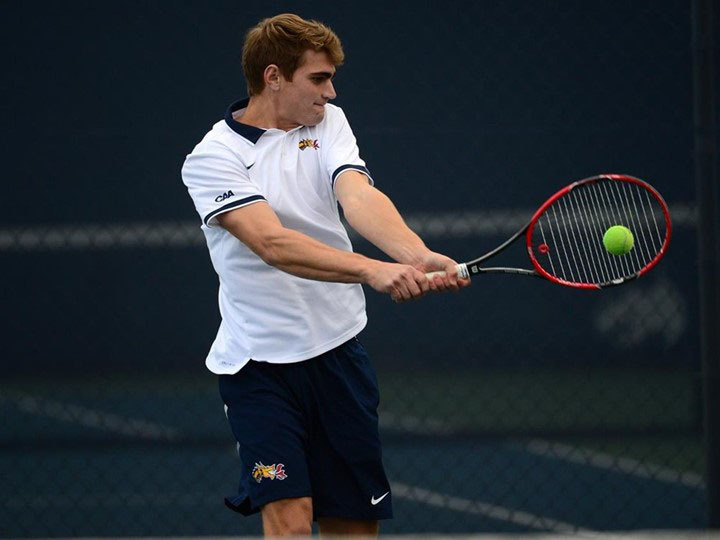 The Drexel University men’s and women’s tennis teams have had a rough start to their 2019 season. The men’s team is currently 2-4 while the women are 1-2. Their first competition was Jan. 18 and 19 at the Virginia Commonwealth University Invitational in Richmond, Virginia. The men competed on the first day against VCU and Campbell University. Unfortunately, the Dragons fell to both teams 6-0. First against VCU, the Dragons had a tough time getting points in the singles matches. The closest game was at the No. 3 spot in which sophomore Sanil Jagtiani played a tough match but ultimately lost 5-7, 5-7. In doubles, senior Sinan Orhon and freshman Djordje Janackovic defeated VCU’s Javier Amantegui and Philip Mobius 6-3, but it was not enough to get points for the Dragons. Then came the match against Campbell. It was here again that Jagtiani put up a fight, this time against Campbell’s Bastien Huon. Jagtiani took the first set 6-3, but Huon battled back to win the second set 7-6(3) and then the third set 11-9. In doubles, the pair of Orhon and Janackovic fought hard in the No. 1 spot against Campbell’s Dustin Werner and Raphael Calzi, but came up short 7-6(5). Another tough battle in doubles was between the pair Jagtiani and sophomore Xandy Hammitt, and Campbell’s Huon and Ondrej Labik. Jagtiani and Hammitt had a similar fate to Orhon and Janackovic as they ended up losing 7-6(4). The men then traveled to Annapolis, Maryland, to play the United States Naval Academy Jan. 20. The Dragons were able to earn three wins in this matchup but at the end, they lost to Navy 5-2. In singles, junior Alvaro Cruz Chamorro defeated Navy’s Peter Lohrbach pretty decisively 6-2, 6-2 at the No. 1 spot. At No. 2, Orhon took the first set 6-4, but his opponent, Matthew Lee, fought back in the second to win 7-6 and then the third 10-8. Junior Youssef Lahlou defeated his opponent at the No. 6 spot, Conners O’Brien, only allowing him to score one point 6-0, 6-1. The pair of freshman Juan Manuel Sanchez and Chamorro defeated their Navy opponents Sam Vagner and Andrew Hicks by a final score of 6-4. The men’s team then returned home to host Liberty University Jan. 25 at the Hecht & Hamlin Tennis Centers. The men were hoping to bounce back from three-straight losses, but Liberty handed them their fourth loss narrowly, 4-3. The Dragons had two wins in singles from Orhon and Lahlou. In doubles, Hammitt and Jagtiani defeated Libkoperty’s John Wilson and Steve Mundt 7-6(3). The pair of Sanchez and Chamorro also won their match against Eddie Gutierrez and Ian Sturgill, 6-3. The Dragons moved on to host Morgan State University and La Salle University Jan. 27. They were able to defeat both Morgan State 6-1 and La Salle 6-1. In doubles against Morgan State, the Dragons earned the doubles point with two wins at the No. 1 and No. 3 spots. Orhon and Janackovic defeated MSU’s Sebastian Lopez and Oguzhan Ceylan, 6-1, and Chamorro and Sanchez paired up for the win against Nihit Rawal and Shrey Gupta 6-1. The Dragons also were dominant in singles play with wins at No. 2 and No. 3. First, Orhon defeated Lopez 6-4, 6-2, and then shortly afterwards Jagtiani defeated Rawal 6-1, 6-4. After the match at the No. 1 spot with Chamorro beating Serhii Kharchev 6-3, 7-5, the Dragons had officially secured the victory 4-0. However, it was decided that the teams would play another few matches for the remainder players giving Drexel two more wins to add the the tally. Next up was La Salle during which Drexel won the doubles points with wins in the No. 2 and No. 3 spots. The team of Hammitt and Jagtiani defeated La Salle’s Connor Merrill and Rogelio Gonzalez 6-4. Then the pair of Chamorroro and Sanchez also took the win from Colin Lucius and Andrija Bozovic, 6-4. In singles, the Dragons claimed wins in all but one match. Orhon, Jagtiani, Hammitt, freshman Gustav Wogen and Sanchez all defeated their opponents quite easily. However, Chamorro lost to Francesco Mowrey in the No. 1 spot 6-3, 1-6, 10-6. The women’s team also lost to VCU Jan. 19 at the invitational. However, they had success against Campbell as they won 4-0. The doubles point was won by teams of sophomore Salma Ziouti and freshman Tara Veluvolu at the No. 2 spot, and junior Katarina Majorova and sophomore Marta Martinez at the No. 3 spot. Ziouti and Veluvolu defeated Lou Regen and Lea Cultura 6-2, while the team of Majorova and Martinez beat Inma Ramon and Alex Nicoara 6-4. For the singles points, junior Ghita Benhadi played Campbell’s Nicoara at No. 3 and won 6-3, 6-1. Then Ziouti had a three-set match against Ana Castillo 6-3, 1-6, 10-6 at the No. 1 spot. Finally, Veluvolu then defeated Isabel Boada 6-3, 6-0 to seal the victory. The women’s team then faced the University of Pennsylvania Jan. 23, but then ended up losing to the Quakers 6-1 with Benhadi having the only victory at the No. 3 spot in the singles matches against Marija Curnic. The women will travel for their next matches against the University of Connecticut Feb. 1 before heading to Yale University Feb. 2. The men will not return to action until Feb. 10 against Lehigh University.